Fan webseries Fallout: Nuka Break is, as Kotaku once observed, actually pretty good. The first season ran through 2011. Riding the wave of gamer zeitgeist in 2012, the series' creators have turned to Kickstarter to find the second season. Fans rallied and the Kickstarter campaign met and exceeded its goals some time ago, so the second season of Nuka Break is as safe as a Vault-Tec vault. More surprising is that series creators Zack Finfrock and Brian Clevinger have potentially convinced some Fallout heavy hitters to come on board. 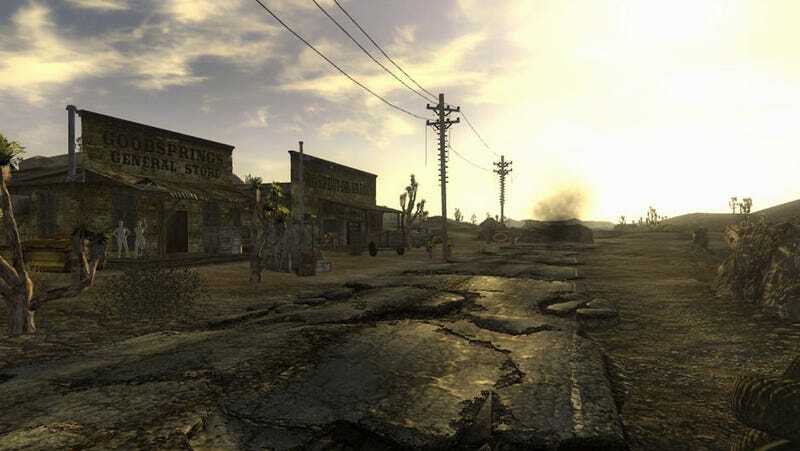 Fallout: New Vegas senior designer Chris Avellone (who also worked on Fallout 2 and the cancelled "Van Buren" project) has agreed to join the project, as has Tim Cain, lead programmer of the original Fallout. The pair will be involved in writing and designing season two, as well as appearing on-screen. There is, however, a catch: Avellone and Cain will join Nuka Break only if it successfully secures double its original fundraising target. This isn't the first Kickstarter project Avellone has jumped onto; he and his team at Obsidian also agreed to lend their talents to Wasteland 2.